Welcome to Zagreb! Your True Trips travel expert has planned your stay at one of the city’s top luxury hotels. Once settled, venture out and discover Croatia’s dynamic capital. Zagreb is delightfully easy to get around and with the help of your experienced True Trips guide, you will experience only the very best of what the city has to offer comfortably and stress-free. 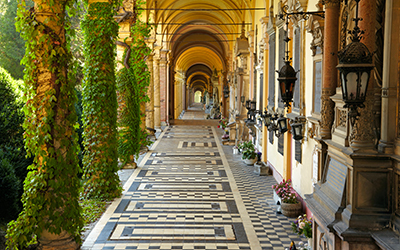 Enjoy a private guided tour of Zagreb to see the city’s most famous attractions and monuments. 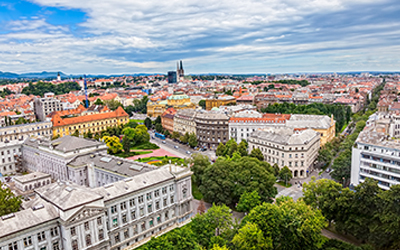 Hop on the funicular and explore the Upper Town and its districts of Kaptol - with its impressive cathedral - and Gradec, Zagreb’s most atmospheric and tranquil area of quaint squares, small streets, imposing Baroque buildings and historic Stone Gate. During your stay be sure to visit one or more of Zagreb’s museums, such as the Museum of Broken Relationships – a one-of-kind museum – as well as the particularly interesting Croatian Museum of Naïve Art. Welcome to Opatija, one of the most elegant holiday destinations in Croatia! Make yourself comfortable at your authentic luxury hotel and then head out to discover this chic and handsome town. The beautiful belle époque villas and hotels are a testament to Opatija’s long tradition of being an exclusive travel destination. Visit Villa Angiolina, a beautiful property that dates back to 1844. The villa itself is very impressive, however the adjacent 9-acre botanical park that is home to some 150 different plant species from around the world is definitely worth a visit. As with many of the coastal towns in Croatia, Opatija has its own impressive promenade, the Lungo Mare! This 7.5 mile / 12 km long illuminated esplanade is ideal for leisurely evening strolls with splendid night views of town. 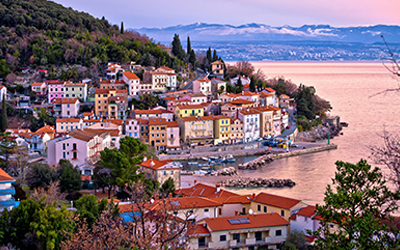 Opatija also offers a wide selection of bars, restaurants and seaside cafes, so pick out your favorites and get a taste for local life along the coast. End your visit well at one of Opatija’s excellent spas and give your body and mind the rejuvenating care it deserves! . 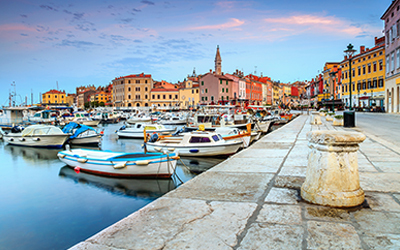 Welcome to Rovinj – a picturesque port town located in the northern Adriatic Sea! Regarded by many as Croatia’s most romantic destination, Rovinj is a charming mix of a medieval town and a chic holiday resort. Together with your True Trips guide, head out and get acquainted with the locals and learn about all of the highlights, like the Church of St. Euphemia - the largest baroque building on the Istria peninsula with impressive views from its 60-meter bell tower and large rotating copper statue of St. Euphemia. Learn all about the elaborate Balbi Arch that was built on the location of the former town gate in 1679. Wander through the narrow pedestrian streets of the Old Town and discover the history that has left its mark on this beautiful town. Another point of particular interest is the House of Batana and its display of traditional flat-bottomed fishing boats which is a reflection of the importance of Rovinj’s local maritime heritage. If you find yourself with time and would like to venture further out, there are several excellent options for some nature exploration including the stunning Brijuni Islands National Park, the impressive Postojna Cave, and the beautiful Punta Corrente forest park. If you are visiting during the summer, then you will also be spoiled for choice of beaches; dive in to the emerald waters for a refreshing swim at Monte Beach, Lone Bay, and Cape Skaraba! Rovinj is a beautiful destination with much to offer its visitors – it will leave you wanting to come back for more! . Having already visited Zagreb’s landmarks, we recommend taking some time to experience its distinct vibe and local lifestyle. Get some culinary inspiration while visiting the Dolac open-air market that offers fresh produce, nuts, spices and local specialties. Walk around Ban Josip Jelacic Square and enjoy some shopping before taking a lunch-break at one of the city’s great restaurants. Surely Zagreb will have left you with some incredible memories and we look forward to welcoming you back again soon.